The Earring Collection: Cold weather in Cowes? 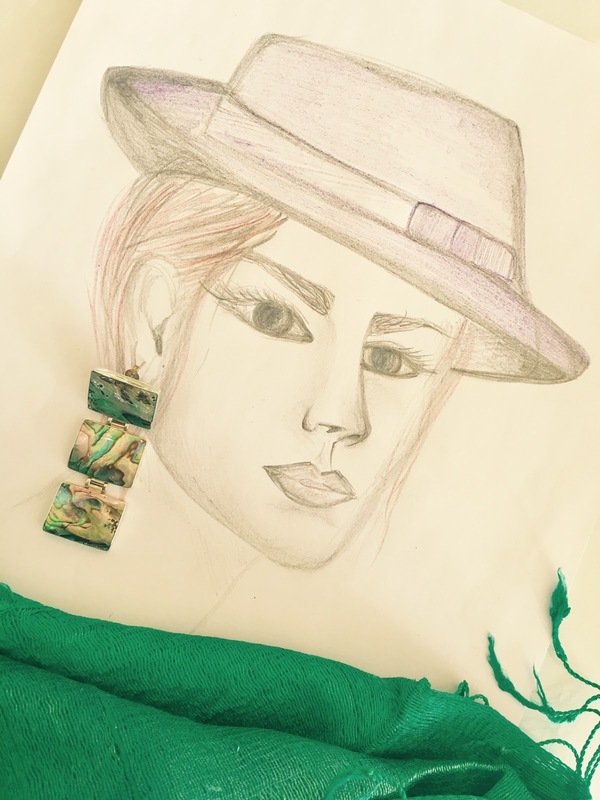 Face it in style!..How to match hats and earrings. Cold weather in Cowes? 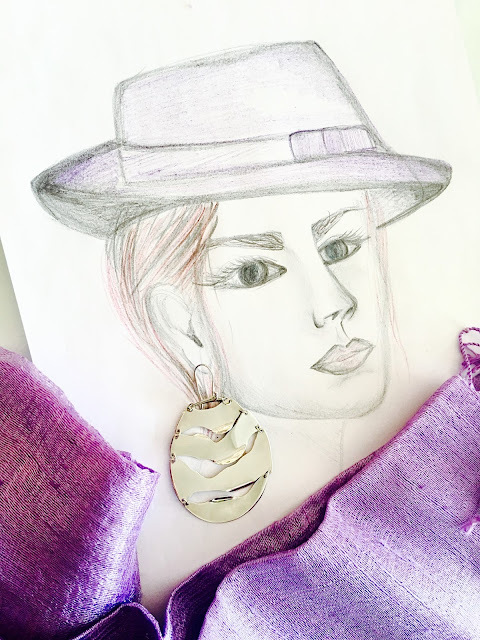 Face it in style!..How to match hats and earrings. At this time of the year, with the cold winter season in full swing, we might not find it easy to accessorize our outfits with all the layering up of winter woollies to keep us warm.. I tend to do it too! Maybe what we need are just a few simple tips about how to quickly and effortlessly mix our beloved winter clothes with some fashionable pieces of jewellery. Personally, I`m not able to give up on earrings, even when it`s freezing outside, and I love all type of hats as well! So here I`d like to give you some recommendations on this subject - first rule: have fun! We all have that fluffy one in our wardrobe..
Not to be confused with simple beanies, bobble hats features something of a pom pom at the top. These hats are, to my opinion, the cutest ones. They`re designed in lots of shapes and colours and here in Cowes you can find a nice selection of bobbles in several shops on the High Street, among which Joules and M&Co. Currently I`m a big fan of fur bobbles on neutral- coloured hat. Lovely colour and unique design. Peacock Pearl & Sterling Silver £ 54. Buy them in store and on line on our web site! I would say that the best way to style this funny hat with earrings is with a pair of studs, so they won`t get caught up in your heavier layers. Make them large! We have a beautiful selection of studs in shop, you will only have to choose. Ah, I love this one! Fedoras most commonly have narrow brims, pinched tops and a silk ribbon around the base. There`s no doubt that Fedoras can take an outfit to the next level, so don`t be afraid to style them with a wonderful chunky pair of earrings! The ones that have weight and unique designs are best paired with a Fedoras..and we, at The Earring Collection, certainly don`t lack in earrings with unusual designs! They`re easily one of the most accessible hat types on the market and, it`s guaranteed, you will find a nice one in Cowes - not hard since Cowes is the sailors kingdom! Try to have a browse in Musto or Fatface on the High Street and you`ll have a lot of choice in baseball caps. Given that you can actually wear this hat with any type of earrings, it might be a good idea to mix your baseball cap with a pair of long/accent/chunky earrings to make them look very casual and easy going! Pull back your messy hair into the cap to leave the earrings on full display, and you`re ready for your sporty but stylish weekend! Don`t be afraid of having fun with your outfits and remember to come to visit us at The Earring Collection shop on the High Street in Cowes! Have a fashionable winter!